CBS | Wait! What's A Dial? Wow. 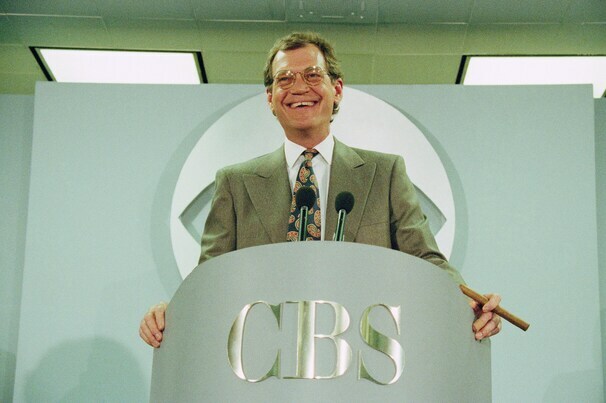 David Letterman announcing his upcoming retirement shocked me. It shouldn’t have. We all knew it was coming. No one was under the impression Letterman would be hosting The Late Show until he dies. He’d host it until Jay Leno was out of the collective consciousness or dropped dead. Once Leno said goodbye to The Tonight Show stage one last time, Letterman’s days were numbered. All he did today was confirm everyone’s assumption. When all is said and done, Letterman will have hosted a late night talk show for 33 years: 11 as host of NBC’s Late Night, the last 22 will be with The Late Show and CBS. It’s hard to believe that 5 years ago few people expected Letterman to surpass his idol Johnny Carson’s reign in late night, which was an impressive 30 years. Now, we’re wondering how CBS will fill the hole in their lineup when Letterman leaves next year. We Are Men is probably going to be cancelled soon. The show is only mildly entertaining, which is never a good sign. Two of the four main characters, Frank Russo (Tony Shalhoub) and Stuart Strickland (Jerry O’Connell), are total morons, who show few signs of character development. Frank’s aging Casanova ways show no signs of stopping. If anything, Stuart looks up to him and wants to live the same way. Frank still parties like a college student. His idea of a good party is one you can’t remember, which is why he loves Tiki Night. Stuart goes along with it as long as his second ex-wife, Amy, isn’t busy trying to empty his bank account. It’s clear that Frank leads the group. In the episode “We Are Dognappers,” Stuart has the chance to finalize his divorce as long as he’s willing to give his ex-wife his dog, which he has had longer than his wife. Stuart gives in, but finds out that his wife ignores the dog. Frank’s solution is to have the group steal the dog. For some reason, the entire group agrees to this idea. Even Gil Bartis and Carter Thomas, who are the sane ones, don’t bring up the myriad of problems with this solution. Grown men try to go threw with a plot that a thirteen year old wouldn’t do because it’s stupid. CBS needs a reality check. No one wants to watch a sitcom length ad, even if it stars Robin Williams. 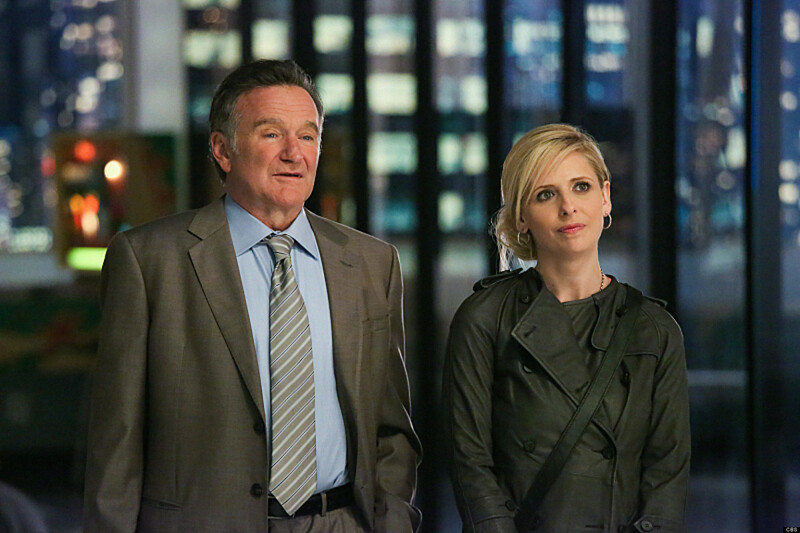 And yet, The Crazy Ones is just that: an ad disguised as a sitcom starring Robin Williams. Since the show does take place at an advertising agency, many viewers may be generous enough to give the show a pass on using real brands because it adds realism. The problem with that is the show isn’t realistic at all. Starting today on CBS owned and operated stations, a new queen of daytime is making her way to the television scene. 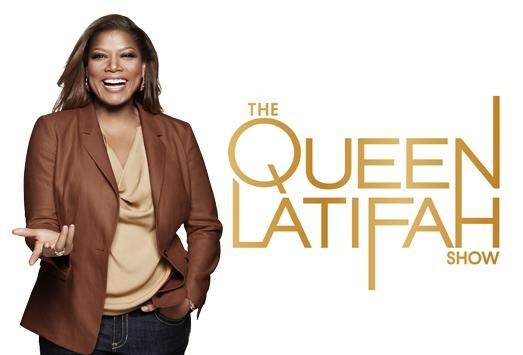 Not only is she a rapper, actress, television star and former spokesperson for Cover girl, Queen Latifah has decided to come back to television. Fans might know her as Dee Dee from The Fresh Prince of Bel-Air, but she can now put talk show host as well onto her resume.